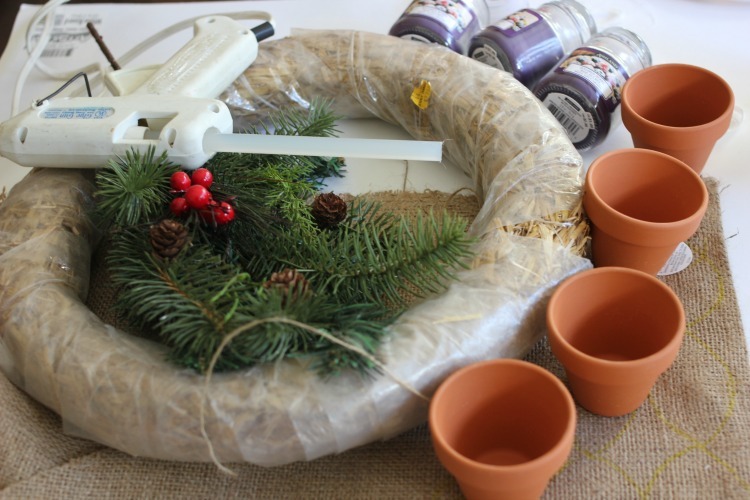 Today is the first Sunday of Advent so I’m sharing my DIY Advent wreath just in the nick of time ! We will be lighting the first candle tonight. 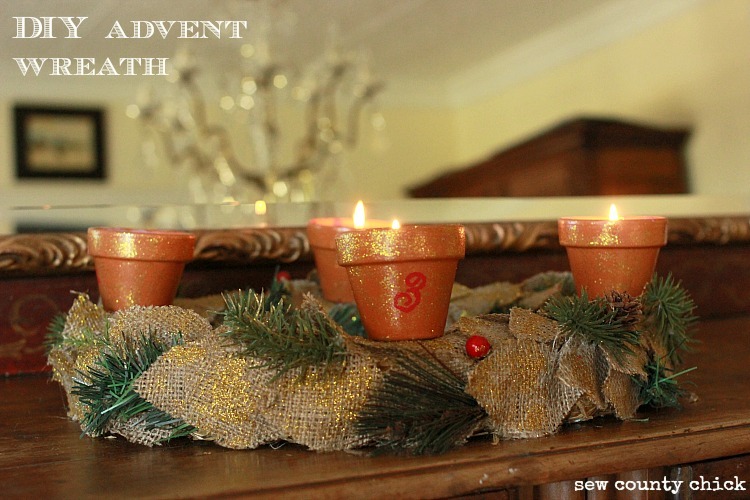 Children love the tradition of lighting the advent candles at dinnertime and say a special prayer on each of the four Sundays of Advent before Christmas. 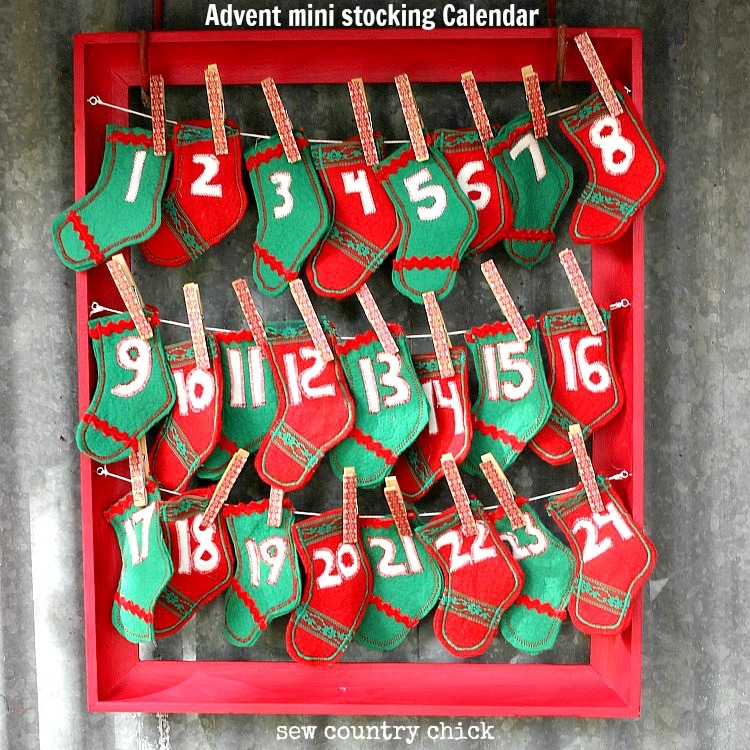 I’m trying to do more of the advent activities with my two youngest girls. 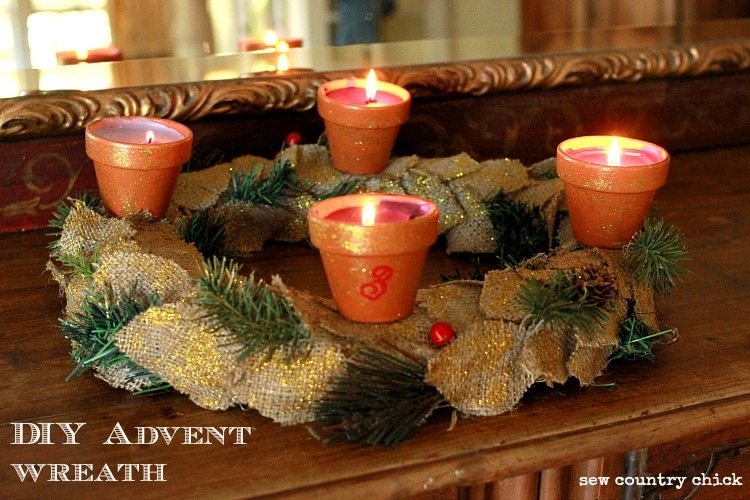 The advent wreath is a circle to symbolize the Alpha and Omega, the eternity of God. 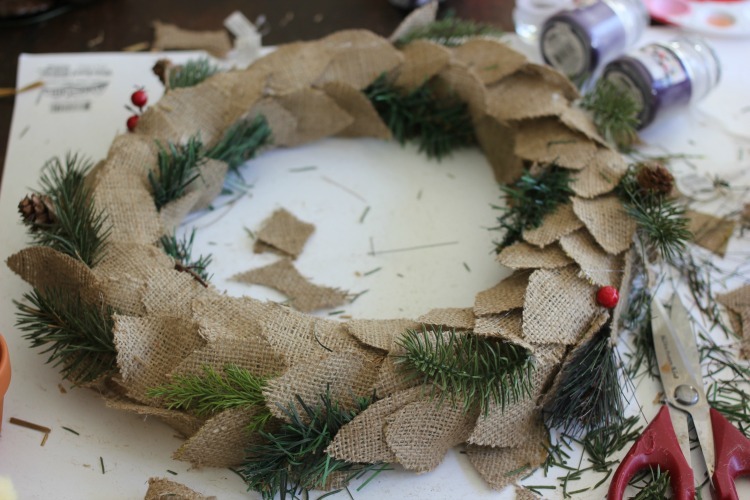 It contains greenery because green represents hope, new life, and all that is good. The candles of the advent wreath each have a special meaning and are meant to be lit every Sunday of the four Sundays preceding Christmas. 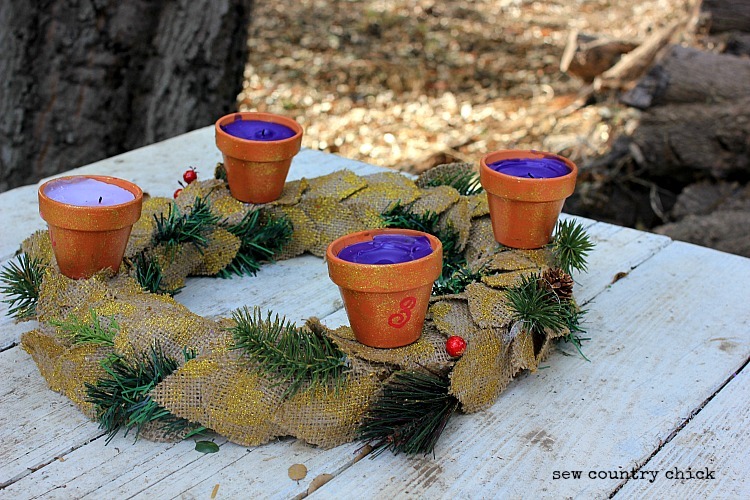 There are a few different versions of the advent wreath used by the different Christian denominations. I made the traditional Catholic version, which uses the purple and pink candles. 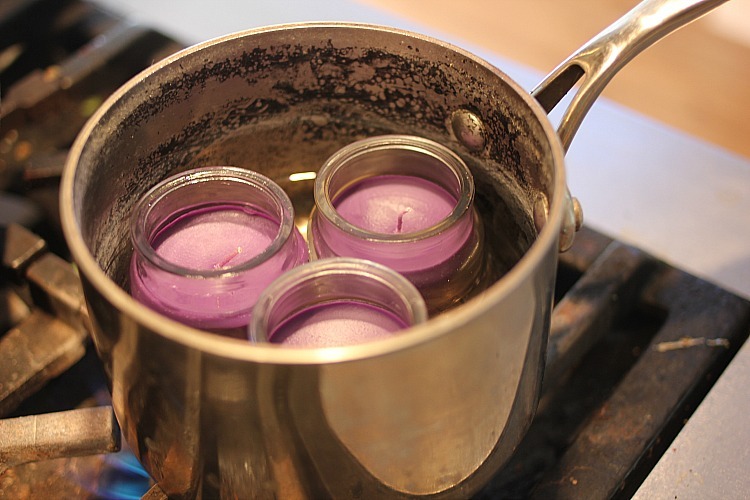 Candle four is purple and symbolizes peace. 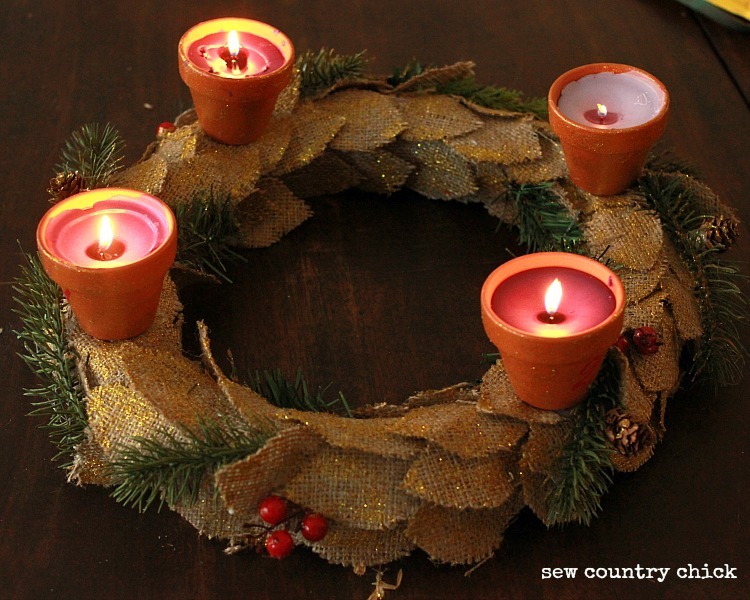 The history of the advent wreath, however, is thought to span back long before Christ. 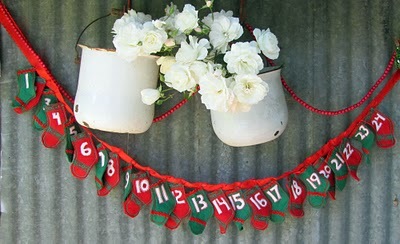 stencil for numbers on pots and paint Cut the burlap into lots of little leaves. 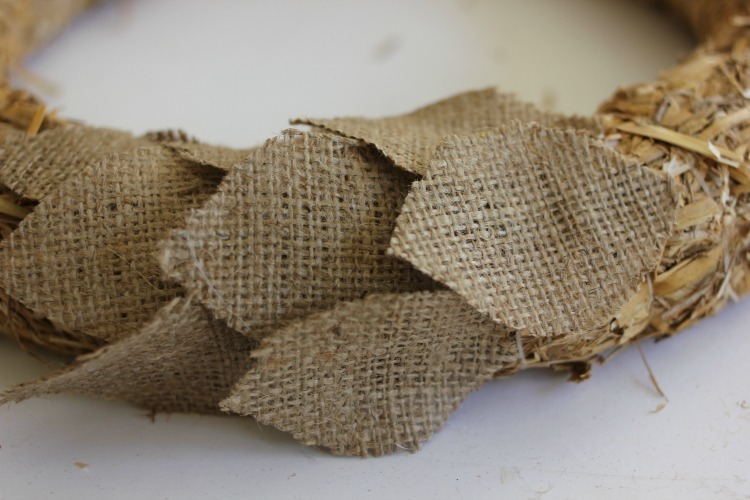 Don’t use your sewing shears to cut burlap because they will get ruined if you do. I know from experience….. Glue on the leaves with the hot glue gun. 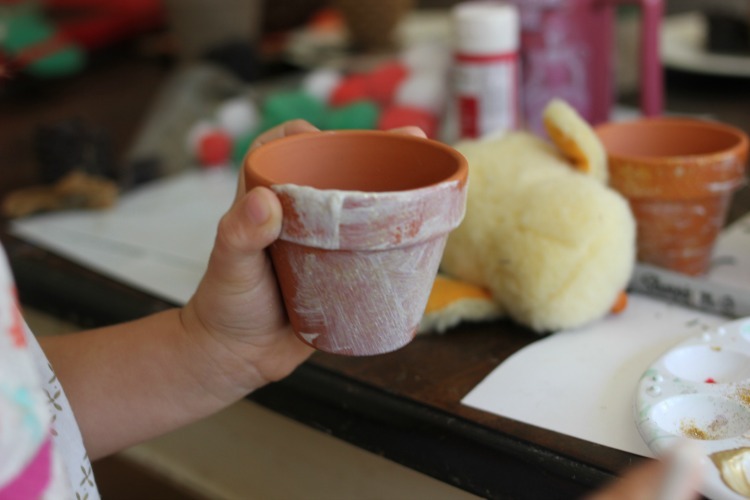 Take little branches of the greenery and glue those on, We mixed some Mod Podge with glitter and Gigi painted the little pots. 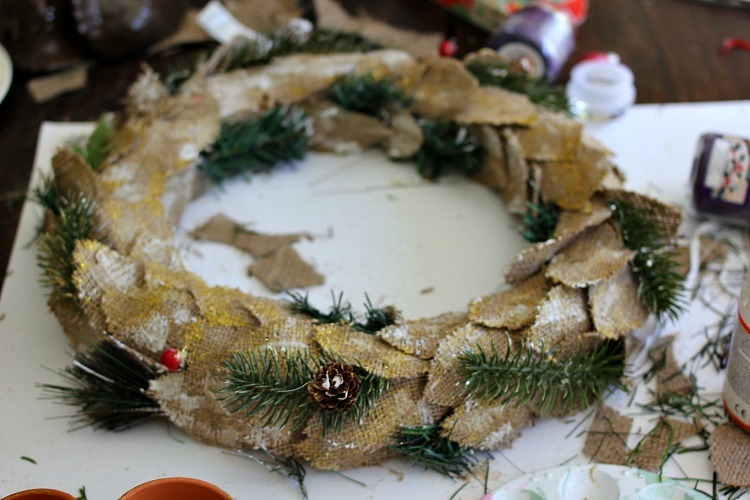 Then I painted the leaves with the Mod Podge glitter mixture. 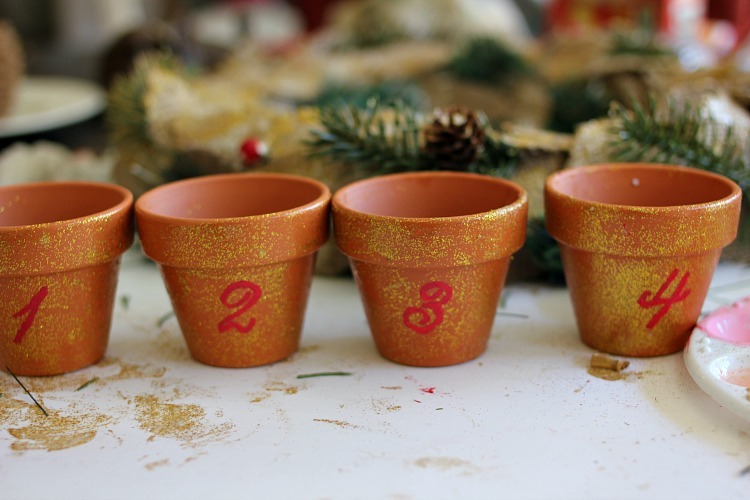 I painted some numbers on the pots with my Martha Stewart stencils to show which candles should be lit in the order for Advent. Finding purple candels was so hard! I finally found some at Micheal’s in little jars and melted them in my old beat up pot and poured them into the little terracotta pots. I used clothespins to hold the wicks up while the candle dried. I used the wicks that were already in the candles. Candle making supplies are so expensive so it’s much cheaper to just melt down ones from the dollar store. I couldn’t find a pink candle so I melted a white one and mixed in a little of the purple candle. It’s not perfect but it will do! Tonight we will be lighting the first candle. Thanks for sharing! 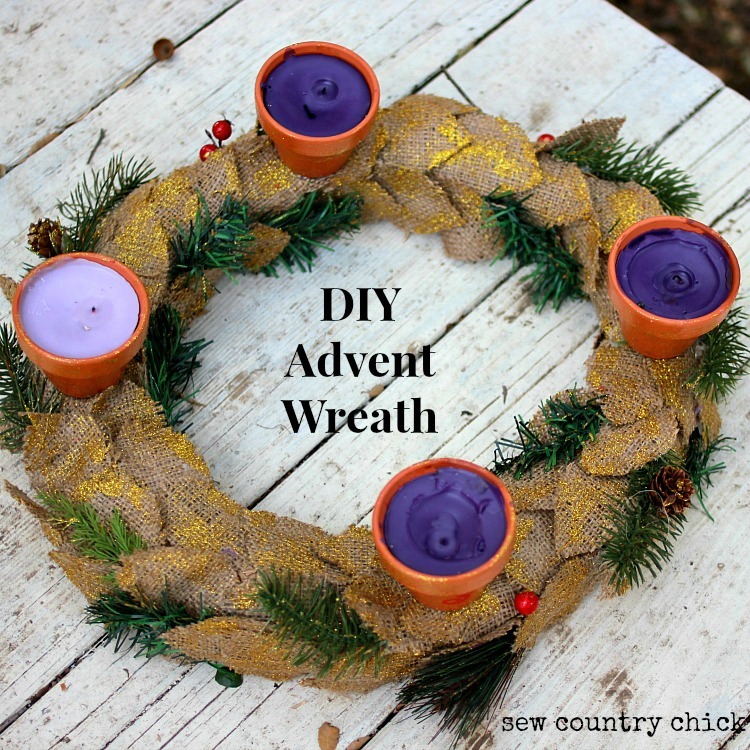 I have been looking for an Advent wreath everywhere and could only find cheap tinsel ones. 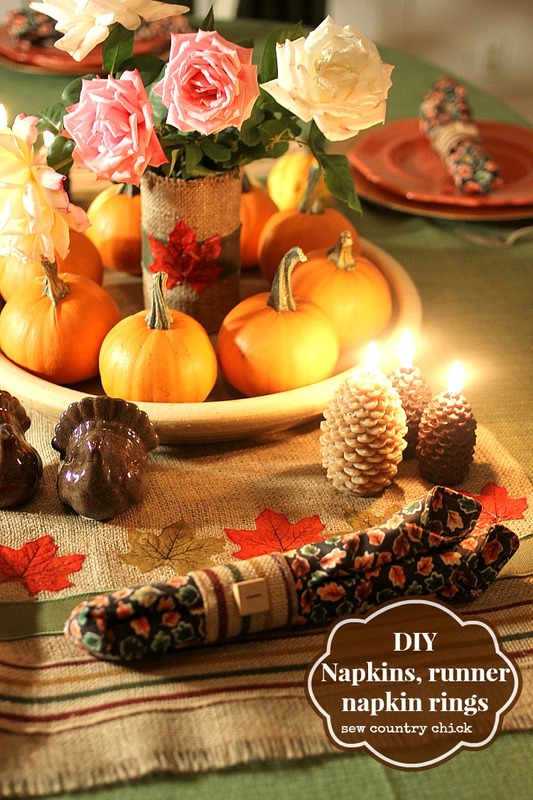 I thought I’d have a go at making my own, but haven’t been able to find matching candles in the right quantities! I never knew they could be melted down! This changes everything!! 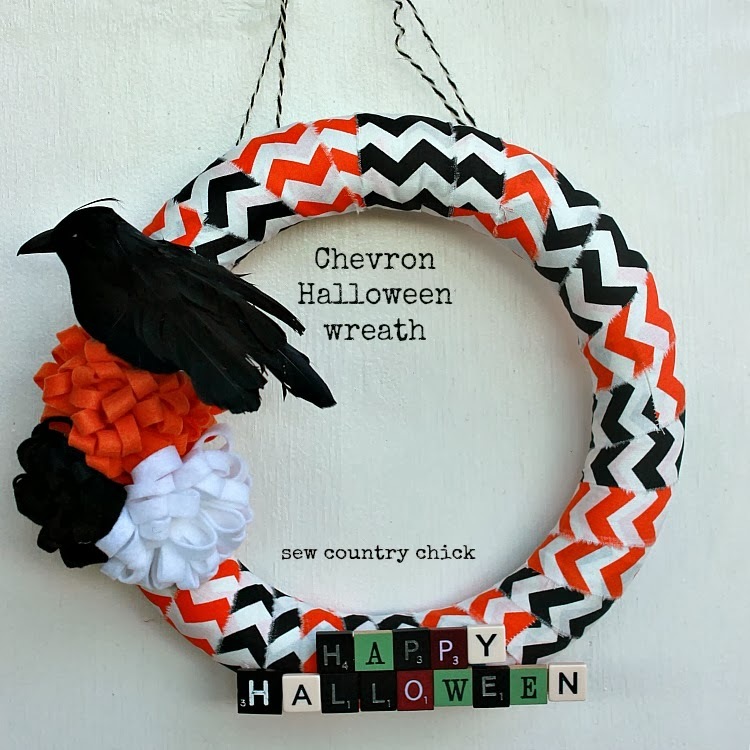 Your wreath is beautiful, but given we’re almost at the 3rd Sunday I don’t think I have time to make anything quite so intricate!